Hearts on the Tokyo Tower! Well, apparently the Tokyo Tower does indeed have hearts on it! Though according to the creator of this video, they are not related to the Royal Wedding, but are instead in memory of the victims of the recent disasters. I don’t read the news in Japanese much, so does anyone have more info? In the meantime, check out this gorgeous video of the tower! 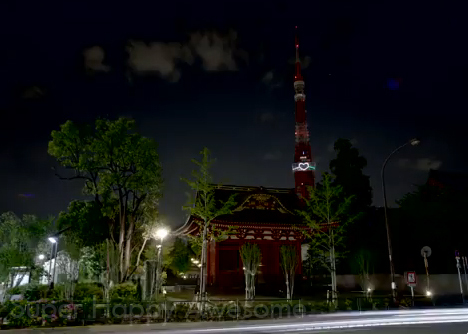 This entry was posted in Video and tagged beautiful, Tokyo tower, video. Bookmark the permalink. 3 Responses to Hearts on the Tokyo Tower! I was just reading about this on the news! It said that it was from Apr 22-May 10, and the 4 hearts apparently represent people hand in hand and bringing our hearts together. I wonder if people can still go up there? Really? Hunh, I never noticed! I’ll have to keep an eye out next year!